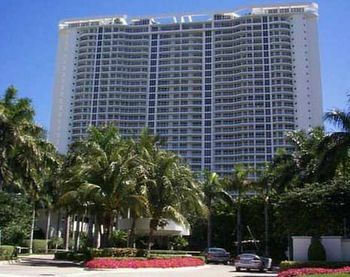 The Porto Vita South Tower is one of two buildings in Aventura found tucked away in an eastern corner near Turnberry Isle and overlooking the water as well as the upscale community of Golden Beach. This 32 story building built in 2004 features 152 Aventura condos for sale and comes with a host of amenities that reveal themselves once you've stepped through its majestic two story lobby. If you're looking for a fusion of location, gorgeous waterfront vistas and great features throughout, the Porto Vita South Tower might be the ideal place to live in the city that shares a name with the Spanish word for “adventure”. The two level parking garage of the Porto Vita South Tower makes it perfect if you're looking to park your own vehicle or would rather make use of valet. One of the building's major features is the Villa Grande Club where members can experience epicurean dining or revitalize at the European style spa. Residents can also request massages, facials and a collection of personal services. Fitness classes which include aerobics and spinning as well as a modern fitness center are also provided. The units of Porto Vita South Tower are available with 2,387 to 4,684 square feet of living area and are packed with modern features. The terraces are often large enough that you could set out a chair or two and a small table and enjoy an al fresco dining experience right from the comfort and privacy of your Porto Vita South Tower home. If you head southeast of Porto Vita South Tower, you'll be in the city of Sunny Isles Beach where you can sunbathe to your heart's content. If you'd prefer to stay dry just visit Aventura Mall which is right around the corner to the southwest of Porto Vita South Tower and has an IMAX movie theater plus great restaurants like the Cheesecake Factory.